There has been a certain amount of controversy generated by this article in the Wall Street Journal in which tea partiers are called Hobbits. But what none of these critics have is an alternative strategy for achieving anything nearly as fiscally or politically beneficial as Mr. Boehner’s plan. The idea seems to be that if the House GOP refuses to raise the debt ceiling, a default crisis or gradual government shutdown will ensue, and the public will turn en masse against . . . Barack Obama. The Republican House that failed to raise the debt ceiling would somehow escape all blame. Then Democrats would have no choice but to pass a balanced-budget amendment and reform entitlements, and the tea-party Hobbits could return to Middle Earth having defeated Mordor. John McCain took up this theme and read from the editorial while speaking on the Senate floor. I know both McCain and the Wall Street Journal meant to be derisive of Tea Party efforts to at least address our out of control spending before raising the debt ceiling, but considering that the Hobbits were the good guys who defeated Sauron, I’ll take the term as a compliment. 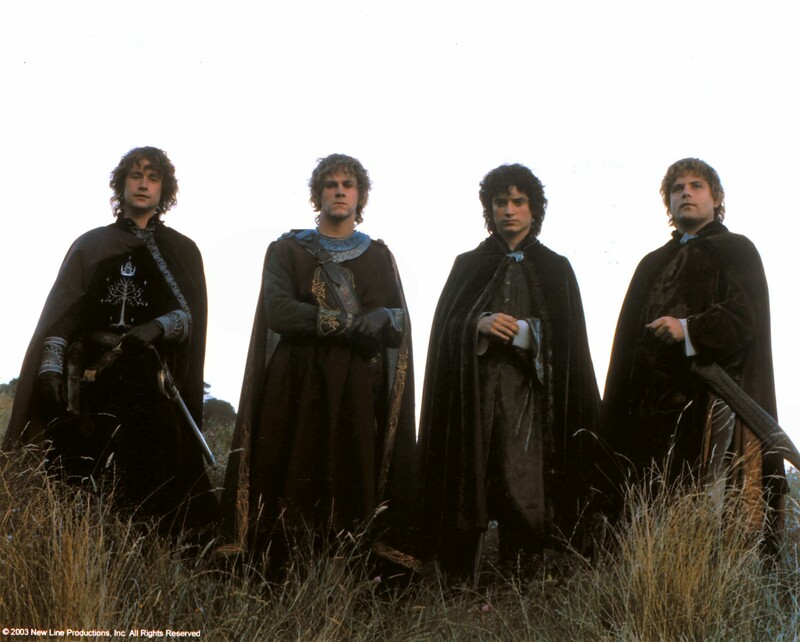 The Hobbits of Middle Earth are hard-working, quiet and contented people. They obey the laws and respect legitimate authority. They reverence the family and tradition. They do not go out of their way to seek adventures or trouble but they are as fierce as a dragon when cornered. They do not back down when threatened. They vigorously opposed Saruman’s redistribution schemes. In other words they are like conservatives, especially the Tea Party variety. The people who make up the Tea Parties are not the sort who spend their lives going out to protests. Like Hobbits, they would rather stay at home in the Shire. But, when the Dark Lord threatens all that is good in Middle Earth, they reluctantly go off to fight. Orcs are dirty, crude and foul-mouthed. They are violent and seek out fights. They do not revere family or tradition but worship only raw power. This is why they willingly follow every evil creature who plagues Middle Earth. They do not like to work for themselves but prefer to take from other. They are liberals. Like Orcs, liberals are foul-mouthed and crude. (Tune into MSNBC if you don’t believe me.) They don’t care for tradition or the family or even the rule of law. And, like orcs, liberals blindly support every genocidal dictator who comes into power. So, there you have it. 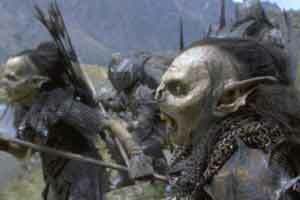 You can choose for yours, but I would rather be a Hobbit than an Orc, whatever John Grima McCain has to say. Timothy Furnish at Pajamas Media takes all of this a lot further than I have with The Middle Earth Guide to Campaign 2012. This entry was posted on August 15, 2011 at 10:54 am and is filed under Books I've Read, History, Politics, What's Happening. You can follow any responses to this entry through the RSS 2.0 feed. You can leave a response, or trackback from your own site. I always preferred to think of myself more as an elf. The Tolkein variety, anyway… Though less preachy. Saruman is the corporate class trying to undermine these things as they harvest the ignorance of the work-a-day hobbits. Hobbits are turned into orcs who will cannabilze the very things that enhance their middle class lives. Your analogy cuts both ways. Identify the liberalism in your own life and tell your readers what you will eliminate in whole before perching yourself atop the eye or Saron and making blanket judgments and regurgitating the talking points of reactionaries. Gimli, son of Groin – sorry, did I misspell? Yes, there are many things in this world I take for granted, like your seemingly exhaustive list that liberals have done for this country. Democrat does not always equate to liberal and Republican can be in name only (McCain). You must note however, that that was then and this is now. Now, liberals ARE orcs – they know no other master than satan.